Well, what do you know; while I've been busy elsewhere, Blogger has reinvented that who-you-follow part of its back end, which was one of the reasons I started posting about books here. Once the RSS feed-thingy went away, I didn't have so much of a sense that I was contributing to a community, or any easy way to read what other people were blogging about. I spent nearly all of this week in bed, and while I was too busy sneezing and trying to clear my head enough to breathe most of the time, I did a little reading. And, because I need to keep myself awake for a few more hours in the middle of an ambitious sleep-shifting back to "normal" hours while not overtaxing my blurry brain, I'll tell you about some of it, though I confess I didn't absorb as much as I normally would have. 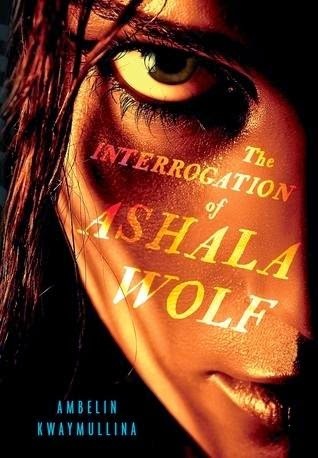 One of the books I read: The Interrogation of Ashala Wolf by Ambelin Kwaymullina (Candlewick). This is one of those nifty books that sits somewhere in the space between traditional science fiction and traditional contemporary fantasy by making both a part of the story. Ashala leads the Tribe, children who have developed abilities that society doesn't like in the years following an Earth-wide environmental apocalypse. 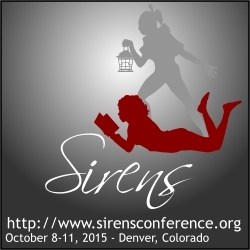 If she's captured, can she save them--and if she can't, will anyone else? Kwaymullina infuses the story with elements drawn from her Palkyu (Aboriginal Australian) heritage, a bit of which I recognized as I read, and much, I'm sure, I didn't. It's an interesting, twisty, non-linear sort of story. 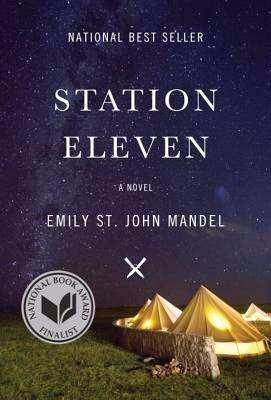 The other: Station Eleven by Emily St. John Mandel (Knopf) is about a plague, so of course I read it while ill. (Other books in my sordid illness reading history include The Stand and a handful of books by Robin Cook.) Basically, the world ends in a very literary sort of way, and there is only after, so I felt odd reading the story on an e-reader... I wanted to know what would happen to everyone, and like The Interrogation of Ashala Wolf, Station Eleven isn't told in a linear fashion. Shakespeare surrounds the story, which kicks off with a death, and the rest of the book unravels how it touched the lives of those still living. This sounds kind of boring, but there are escapes, kidnappings, cults, and the like, too. It's about I can't help thinking that there's a little something Cloud Atlas in Station Eleven, though the difference is I actually liked all of the not-quite-so-sectioned-off pieces of Station Eleven and read it in two sittings, one some time ago, and then as soon as I had a free day due to illness, the rest. I recommend, if nothing else, its spot-on descriptions of the Pacific Northwest (as opposed to the sketches of certain other speculative fiction books that do not get it at all).